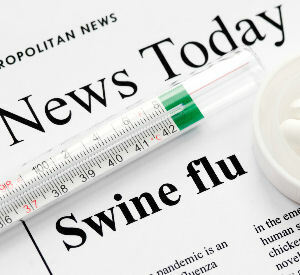 Yesterday the Massachusetts Department of Public Health issued a statement announcing 2 more deaths related to the H1N1(Swine) Flu. The first was a 13 year old boy and the second a 64 year old man. The second death is still pending official test results but the assumption right now is that he died of the swine flu. Both were residents of Worcester County. I believe the boy died at UMass in Worcester. As the summer rolls along it is easy to forget the fears of a widespread pandemic that were upon us at the end of the school year. These 2 deaths prove that we can not and should not drop our guard. Many kids are in camps and need to be reminded of the basic hygiene and safety precautions to take to stop the spread of this illness. Officially there have been more than 1300 cases of the swine flu in Massachusetts with a 64% majority hitting people under the age of 18. Precautions and awareness need to continue as we all head into the fall which may trigger a spike back up in the number of cases. I admit I have not been as aware. The line has to be balanced between instigating all out fear and panic with a clear and continuous communication from both the state and national health organizations. Does not mean you should not be taking this illness seriously. You may be the person that passes it on to one of these at risk groups. Visit the http://www.mass.gov/dph/swineflu for more information and keep up to date on the immunization plan that needs to be forthcoming from both the state and national health organizations. It has since been reported that the 2nd death was not H1N1 but I don’t think that changes my comfort level.